Click on the screen to fly upwards and pass over moving sections. 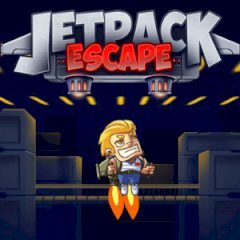 Jetpacks were always fun to use and play with. You have to use jatpack to fly high and get points for each section. Choose the right time for this!